Nationwide Auto Transportation offers convenient door to door auto transport for your beloved vehicle. There are many car shipping companies to choose from, but when you book your door-to-door auto shipping service through NAT, we will will send a licensed, bonded and experienced driver to collect your vehicle from your selected location and deliver it to the destination specified on the order. 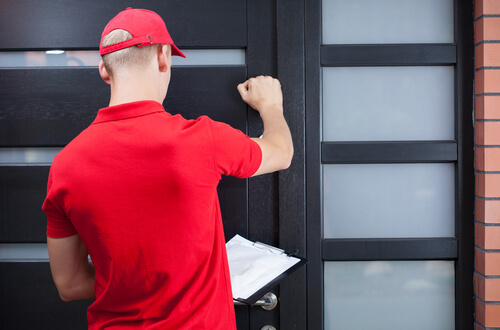 We do what we can to live up to the door to door transport meaning by providing our utmost dedication to deliver the best possible service every time. 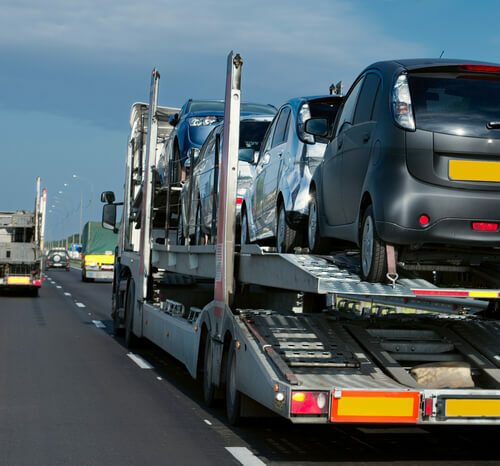 Our door-to-door auto transport carriers are expected to maintain a 99% on-time collection and delivery service success rate with a quick turnaround time. We keep them to the highest standard of consistent achievement and it is this commitment to service excellence that has helped us ship in excess of 25,000 vehicles in 2018. In 2019, we will launch a variety of new strategies, tools and services to increase this amount to 40,000 without compromising the high levels of service quality our clients have come to expect over the last 15+ years. Save Money: You will save money by not having to pay for fuel, toll fees, and overnight accommodation along the way. Save Time: You will not have to waste days traveling. Save on Additional Costs: You won’t have to pay for car hire or return flights. Save on Additional Mileage: When you use door-to-door auto transport, you don’t have to worry about depreciation caused by extra mileage. Reduce Accident Risk: Door to door auto transport drivers are well experienced and follow the most stringent safety procedures to keep your vehicle safe. This dramatically reduces the risk of accidents. Door to door auto transport services offer convenience and peace of mind. It’s a common and convenient way to transport your vehicle from one point to another. But don’t take our word for it. Read some of the reviews happy customers have left for us on our website, at the BBB, Yelp and Google Business. When you ship your car through Nationwide Auto Transportation door to door transport New Jersey to any location in the lower 48 states, your car will be insured during transportation. Nationwide Auto Transportation only works with carriers who have the required minimum insurance required by the Department of Transport. Each carrier is responsible for maintaining this insurance in order to continue hauling on behalf of Nationwide Auto Transportation. Nationwide Auto Transportation offers two options of door-to-door auto transport: enclosed car shipping or open air carrier. It is possible for us to arrange same day car shipping if we have a carrier available in the area. If we’re unable to arrange same day collection, we can schedule you for expedited shipping at an additional fee. 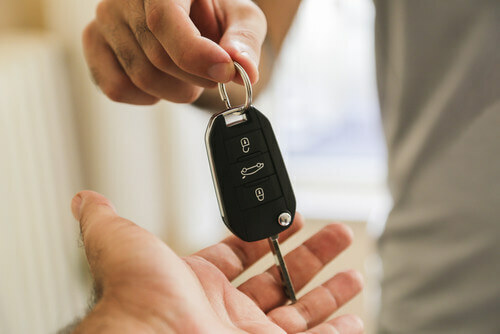 When you book your door to door auto transport with Nationwide Auto Transport, you only need to provide the driver with the keys and the car. You don’t need to provide your vehicle registration or title (unless you’re selling the car and we’re delivering it to the buyer). We offer a discount on multi-car door-to-door auto transport services. Additionally, we will monitor your vehicle’s transport throughout the process, providing timely updates. You may keep a box or suitcase of personal items (less than 100 lbs.) in the trunk and that will not cost you any more, provided it does not interfere with the safety of transportation. Please be sure to speak to our dispatcher if you wish to ship personal items with your car so that we can make the appropriate arrangements with the haulers. Drivers retain the rights to inspect your vehicle’s trunk for unlawful items and may deny service. We offer the most accurate shipping rate in the industry. Our sophisticated online shipping quote calculator uses a variety of data points from a range of sources to determine the most accurate quote. That makes it highly unlikely that your price will change after the quote. Once the trucker completes your door to door auto transport service and arrives at the destination with your car, he will request that you pay the balance of the fee in cash, or in certified funds. Your car will be unloaded from the vehicle after this transaction. Tip: Avoid incurring additional costs in storage or failed delivery fees by having the balance on hand when the car transport service delivers your vehicle. Request a free quote now, or call us if you have any questions.